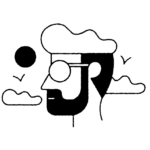 We’ve heard of celebrities keeping secondary social media accounts for friends and family rather than fans, but we’ve never heard of a celebrity hiding a…wait for it…secret onion ring review Instagram account. Mostly we’ve never heard of this because we didn’t know ANYBODY had onion ring reviewing Instagram accounts, but now that we know this is a thing, it’s one of the better ideas we’ve ever heard. And apparently, Lorde agrees. 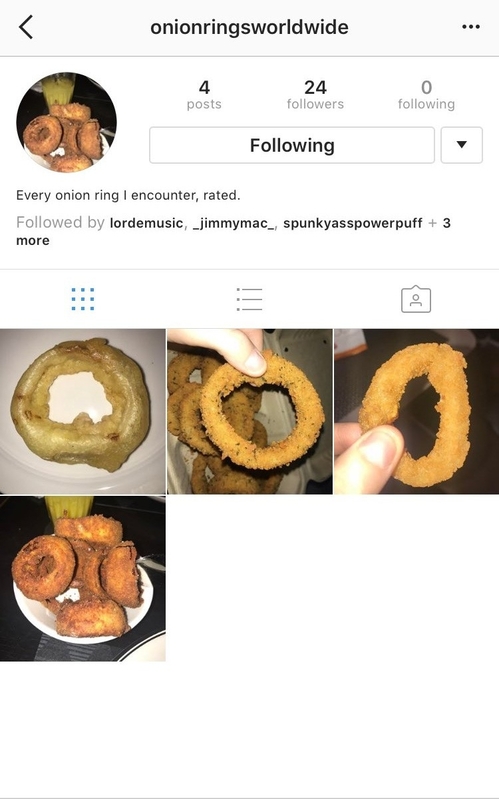 New Zealand’s Newshub put together a preeeetty convincing argument that the now-deleted onion ring rating Instagram was run by our fave singer, Lorde, herself. The first evidence is in the followers — although the account didn’t have many, among them were Lorde herself and her friends Justin Warren, Jimmy Mac, and Maddy Bud. The second clue is in the location where the onion rings were consumed and rated. For example, the second post was of onion rings eaten on a plane en route from Tennessee to New York. There are a few other geography coincidences — the onion ring account posted from a place in London while Lorde was in London, a place down the street from where Lorde performed a concert around the same time. But there are smaller details that make this more than a wild theory, too. New Zealand’s Newshub reached out to Lorde’s reps for confirmation, but shortly thereafter the account was deleted. But, we’ll always have onion rings (and screencaps).